Sofas are a significant commitment and a necessity of your living room. Not only this, but they provide a spot where family and friends can spend a lot of time and can make themselves feels comfortable. There are sofas, and then there are fabric sofas. Comfy, value-for-money and available in different varieties of designs and fabrics. 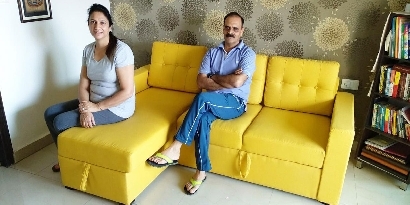 That is why fabric sofas are a popular choice. 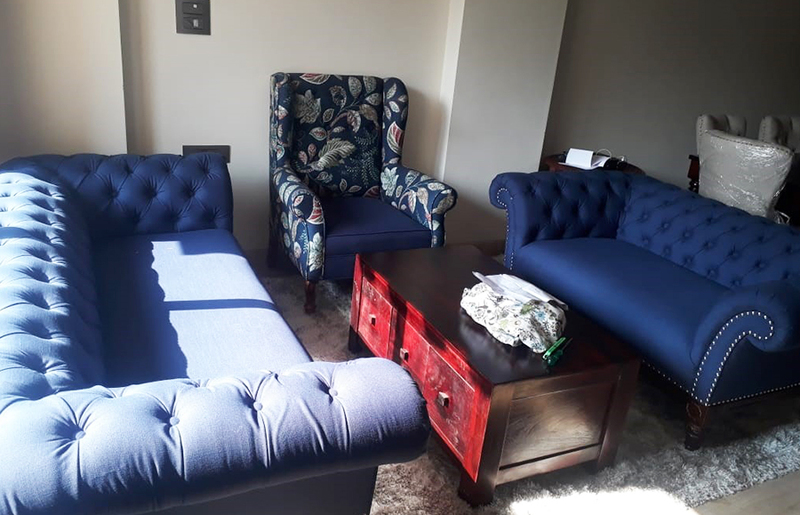 Usually, we focus on the colour and size before buying a fabric sofa but we forget that the shape is also an important part of this quintessential piece of furniture. So, without further ado let’s get straight into the world of fabric sofas. If you are looking for a statement piece for your living room that offers immense elegance and comfort, then this Allison Sofa Set is for you. The backrest of this fabric sofa is sports shallow tufting, which is comfortable and stylish, and the seat features a simple and sophisticated look. The armrests are bolster-shaped which is perfect to rest and support your arms. 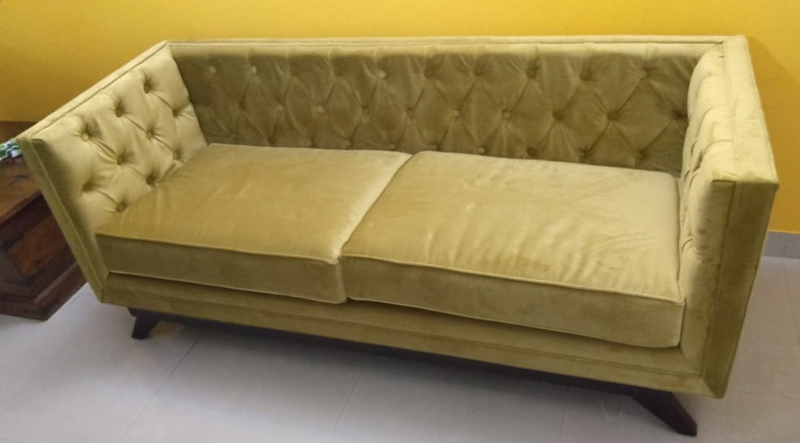 This olive-green velvet sofa is something that can make you fall in love with its sumptuous textures, as it offers a great balance of comfort, sophistication and warmth. This Berlin sofa has a tufted backrest along with armrests of the same height. If you want to add something luxurious and unique to your living room, then we have a gorgeous product for you! This sofa is a chesterfield, finished in a delighting leatherette upholstery, and sporting deep-buttoned tufting. The edges of this stylish sofa showcase a fine nail-detailing and the armrests curl for a regal profile. This sofa is the perfect blend of comfort and beauty. It boasts a simple and comfortable style with curling armrest and a deep-button tufted backrest. 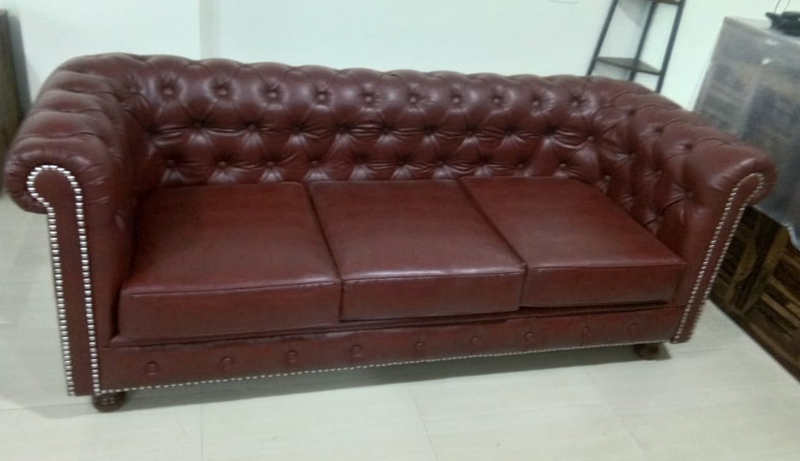 Henry sofa also falls into the chesterfield category, and gives a majestic look to the aesthetics of the décor. This beautiful sofa is available in both bold and light colors to match with your colour scheme. Want to go bolder? Then avoid getting swayed by trends and go with an intense colour in a charismatic design. A bold colour is a great way to hide stains and spots. This Swanson Sofa is going really well with the Botox Lounge Chair, also in the picture, as both of them have outward curling arms which emit a luxurious appeal. Bold furniture and neutral walls really compliment each other and give a finished look to the aesthetics of the décor. A sofa is that one piece of furniture which can be found in all homes, whether it’s a tiny apartment or a villa. It’s a place for your midday naps and lazy weekends, and so, they deserve that extra bit of attention and effort. Let your imagination wonder and be bold with your furniture, because your furniture makes your house a home worth living. 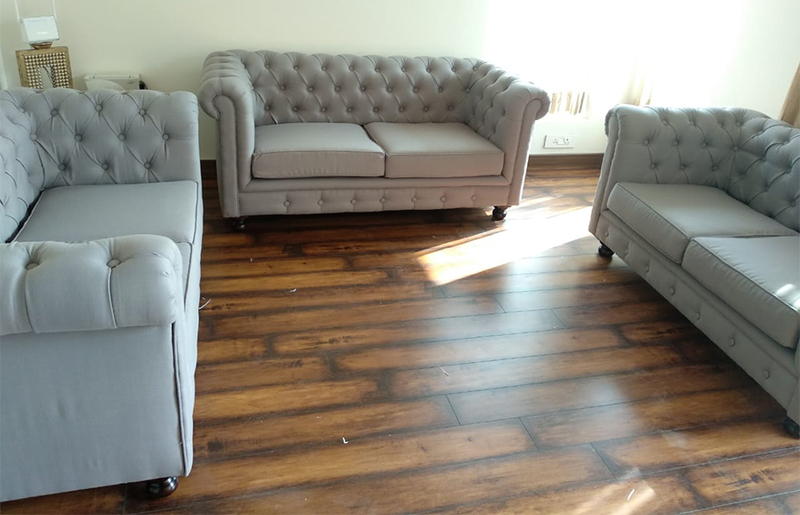 With Wooden Street, you can get the dream furniture that you’ve always desired, with just a few clicks, and even have it customised the way you want. Mr. Ashwin Deva, this exceptional personality that houses a patriotic drive and a wandering photography spirit, managing the perfect balance between the two. How Wooden Street helped the Deva’s to enliven their artful interiors. For the last five years, Marcela has been a resident of Mumbai, living with her husband. She has been bestowed with an exceptional designing skill. 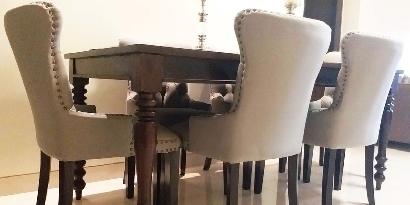 See how she got furniture that matches her minimalist and contemporary decor from Wooden Street. 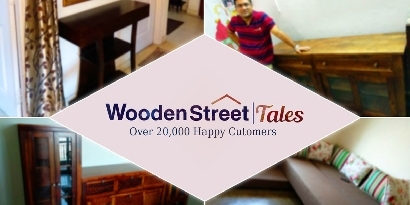 We at Woodenstreet would love to hear your opinion about our venture. Ahmedabad, Bangalore, Bhopal, Chandigarh, Chennai, Coimbatore, Faridabad, Ghaziabad, Goa, Gurgaon, Hyderabad, Indore, Jaipur, Jodhpur, Kochi, Kolkata, Lucknow, Ludhiana, Mumbai, Nagpur, Navi Mumbai, New Delhi, Noida, Pimpri Chinchwad, Pune, Secunderabad, Surat, Udaipur, Thane, Vadodara, Mysore & Across India. 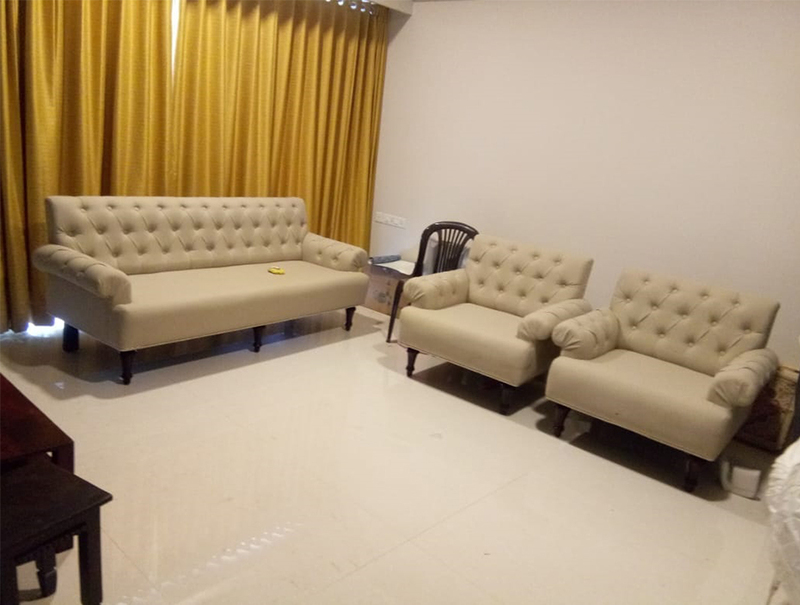 Online furniture shopping website - Delivering across India. © 2015-2019 Woodenstreet.com. All rights reserved.